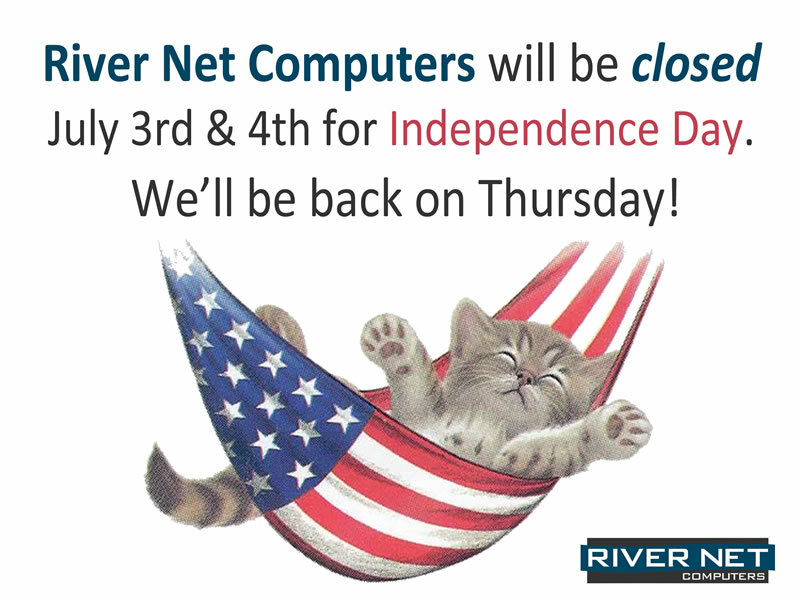 River Net Computers will be closed July 3rd & 4th. We’ll be back on Thursday. Have a great Independence Day!